Christmas cheer can come in small packages. 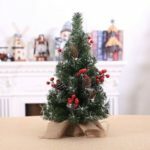 This mini Christmas tree comes with artificial snowflake to create the perfect atmosphere for the holidays, Especially perfect for small spaces or to add a bit of holiday cheer to a room. 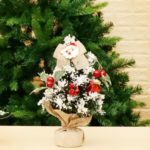 This artificial tree is decorated with snowflake, berries, gift box and leaves. 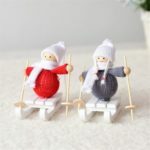 Truly a perfect addition to any existing Christmas decor theme! 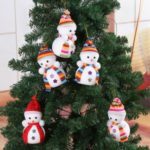 This Christmas tree is made out of durable materials so that it can easily withstand the Christmas season year after year. 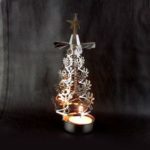 This will brighten up the look of any room and create Christmas cheer in your home with beautifully designed decor.